Reiki is a holistic therapy. It is a non evasive hand mediated energy healing technique. Only shoes need to be removed for the treatment. We all have universal energy flowing through us. 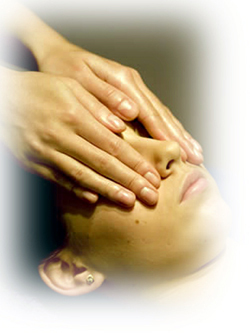 A Reiki treatment allows free flow of energy through the body. Reiki energy will naturally flow to areas where it is most needed. Each recipient will experience the treatment differently to the next. Depending on where the energy flows within each person. The practitioner uses their hands to transfer energy to the recipient. This can help to unblock blockages which in turn bring about balance in the recipient. Suitable for pregnant and nursing mums. A totally unique experience for everyone.